Save yourself time and money by enabling your trusted non-admin users to edit their own dropdown values! 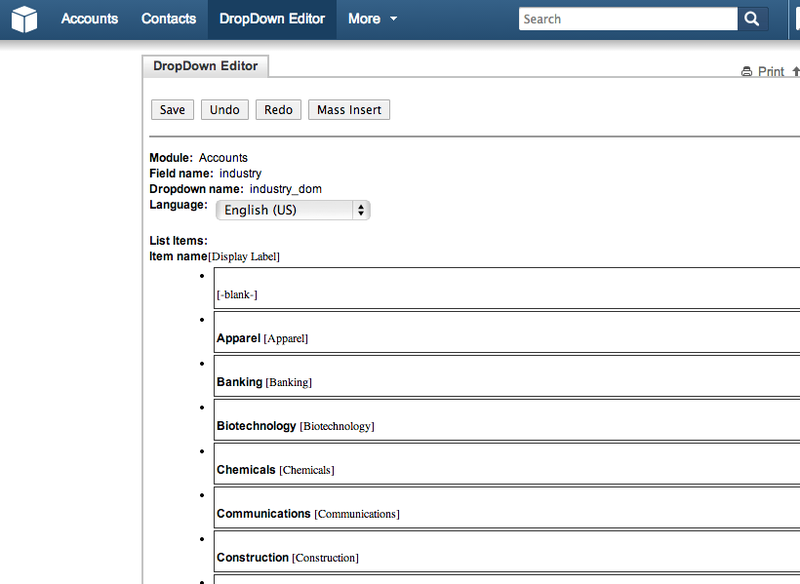 In SuiteCRM, the dropdown field is one of the most common field types. Dropdowns are used on record edit views to select from a choice of options. Out-of-the-box only Admin users are allowed to edit the values that are provided in these dropdowns. 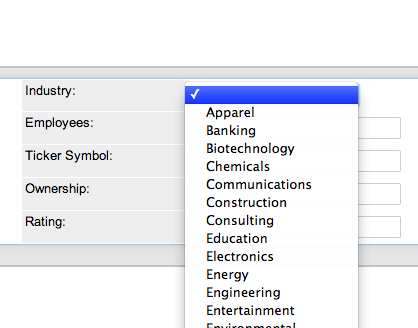 For example, on the Accounts module the "Industry" field is a dropdown. Why waste time bothering a SuiteCRM Admin user to do something as simple as adding a new option to the Industry dropdown. Allow certain users to edit a given dropdown without having to wait for an Admin. Bonus Feature: Copy and paste multiple values to save even more time when updating dropdowns. Duplicate values will be automatically removed for you. This is great for copying and pasting values from Excel!